IPM Awards 2018. We’re going to need some more shelves. TLC Marketing are going to need some more shelves. Last night they took home ten trophies at the Institute of Promotional Marketing Awards (IPM) Awards for campaigns with Vodafone, Filippo Berio and their own b2b marketing. 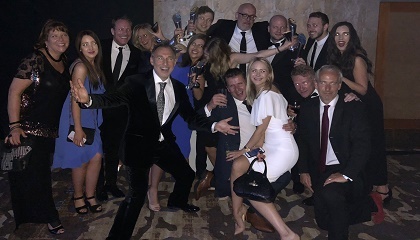 A total of five Bronze, four Silver and one Gold were awarded at the ceremony in the Hilton Park Lane, with the agency dominating the Creative and Small Budget campaigns. Two trophies were awarded to Vodafone Broadband ‘Awesome Tech Gift’ campaign for Best Telecoms and Best Customer Trial and Acquisition while the mobile side of the business took home Best Shopper and Retention Programme for the Christmas Surprise and Delight campaign. TLC Marketing took home three trophies for their own internal b2b marketing campaigns for the Chocolate Gym Pass and Top Trends which received Best Creative (Silver) and Best Small Budget campaign (Silver and Gold). However, it was the Filippo Berio 'Shake to Win' campaign that stole the show, taking home a whopping four trophies for Best Consumer Product: Food, Best Creative, Best Small Budget and Best Consumer Engagement. 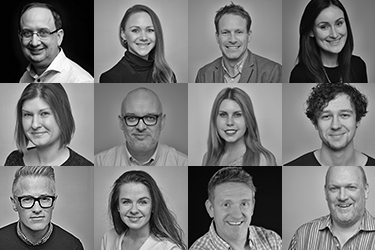 The IPM Awards celebrate outstanding promotional marketing from the very best UK agencies and underscore the commitment our industry makes at supporting best practice, creativity, effectiveness and innovation. This year, winners of Gold, Silver and Bronze IPM Awards all qualify for entry into the IMC European Awards which TLC has won consecutively for the last two years.